Rivers of loam bisect many a land. But where can these rivers run so dense & deep and serve a community so small that they draw in people to come and share the experience. 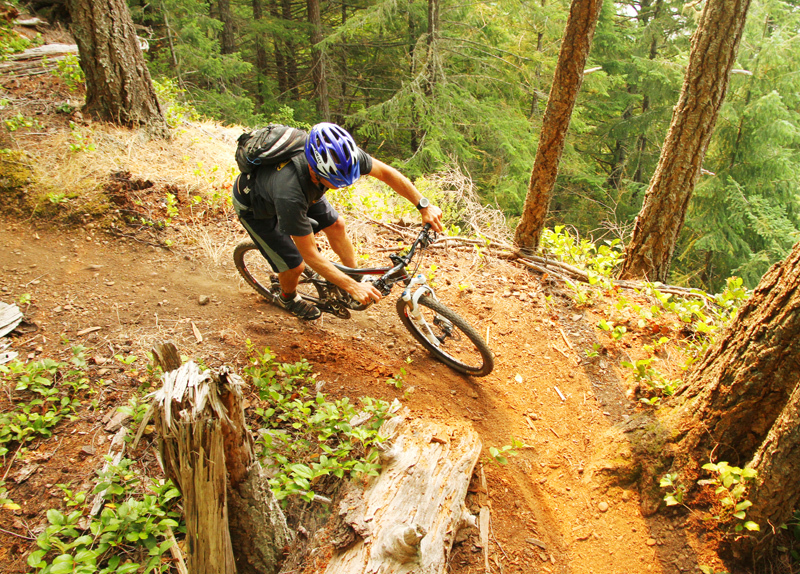 The diversity of trails in the Comox valley is vast; from fast flowy cross country trails you can climb and descend, shuttle trails with stunts and natural features you can ride on any kind of bike, the lift accessed trails of Mount Washington and the island sanctity of Hornby Island, there are rides that will appeal to all riders. You can ride here most of the year. 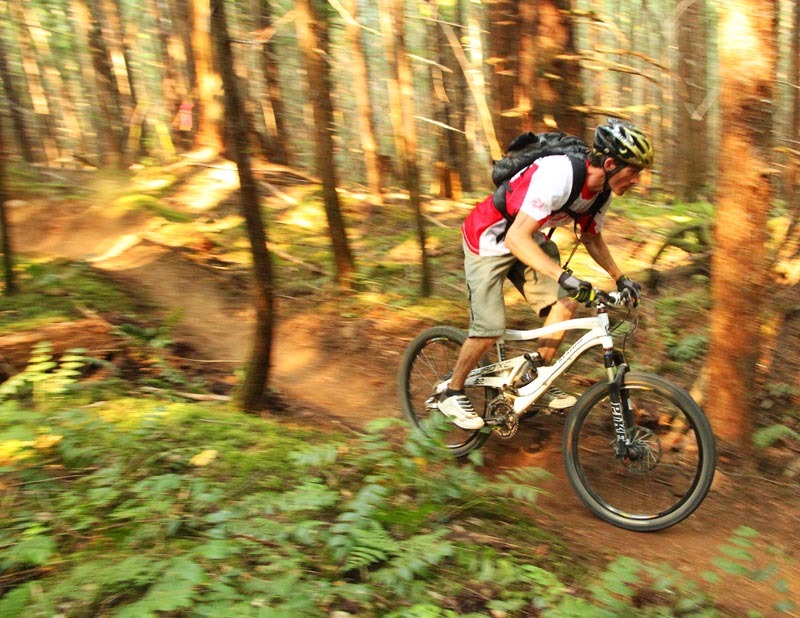 With a climate comparable to Vancouver this area offers a year round riding destination. 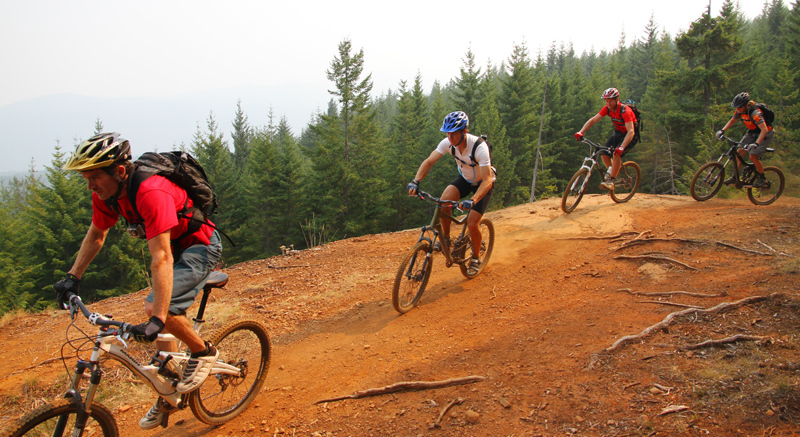 The trails are built for mountain bikers by mountain bikers with the support of the landowners and community which results in a great network and great community feel. Located in central Vancouver Island on the Eastern coast the Comox Valley is 2.5 hours from Victoria, 90minutes from Nanaimo, also served by direct flights into Comox via Calgary, Edmonton and Vancouver. Protected from the masses by the Georgia Straight Vancouver Island is accessed by the cheapest ocean cruise money can buy. 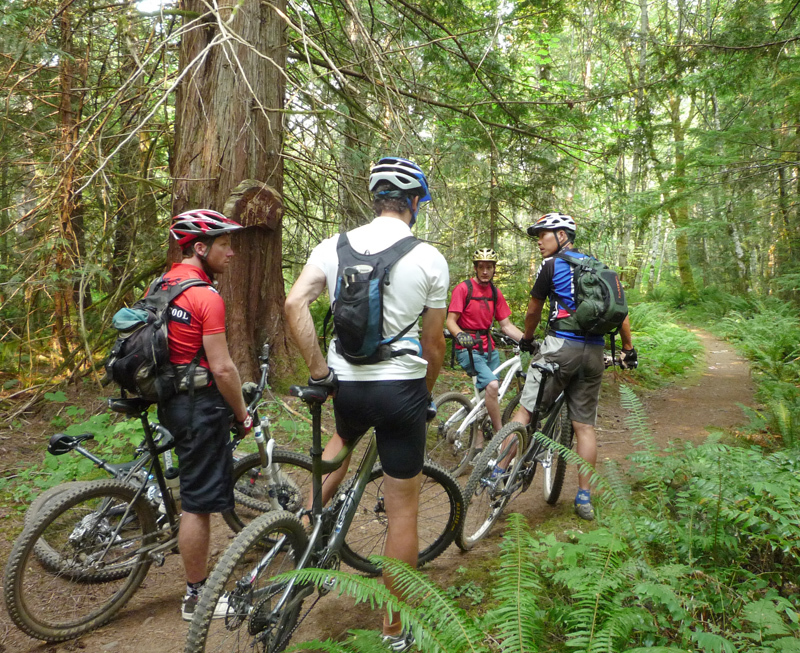 The trails of Cumberland are similar to the trails in the lower mainland in that they are in forested areas of second growth Douglas Fir and Cedar. 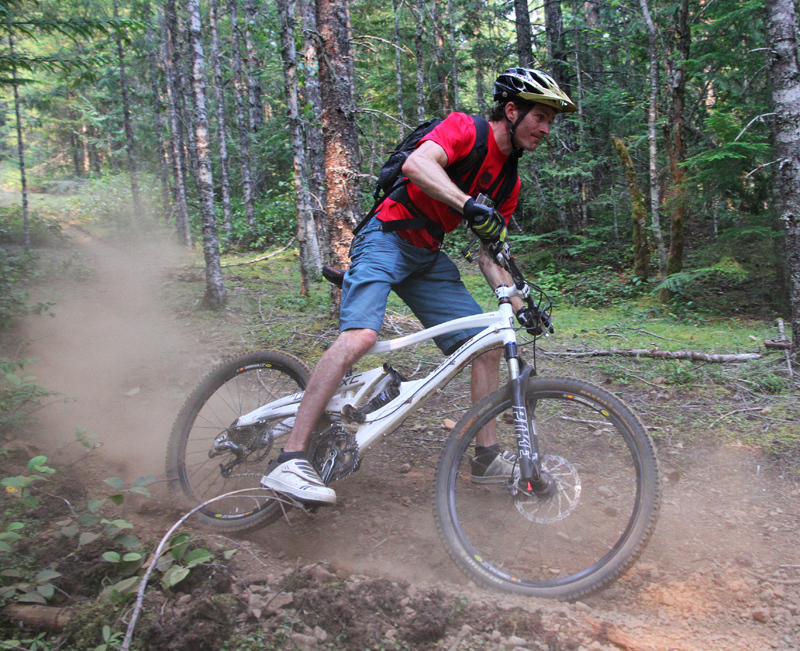 The trails closer to Courtenay differ in that they are more rocky and travel over rocky bluffs. 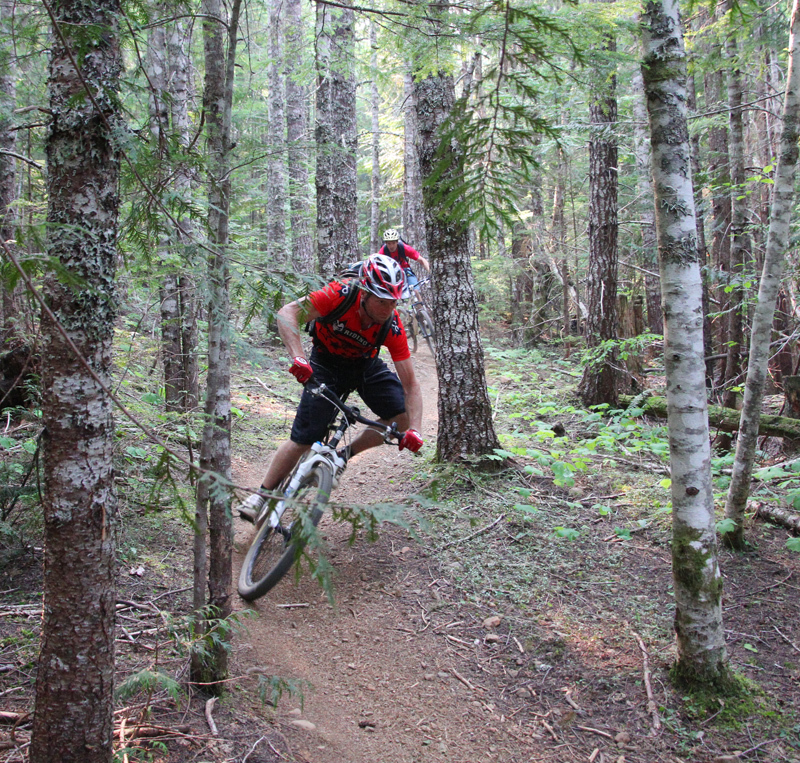 The trails in Hornby have escaped the effects of time and twist through the trees like a snake in the grass. Mount Washington offers berms, table tops and tech to keep the gravity obsessed crowd wanting for more. 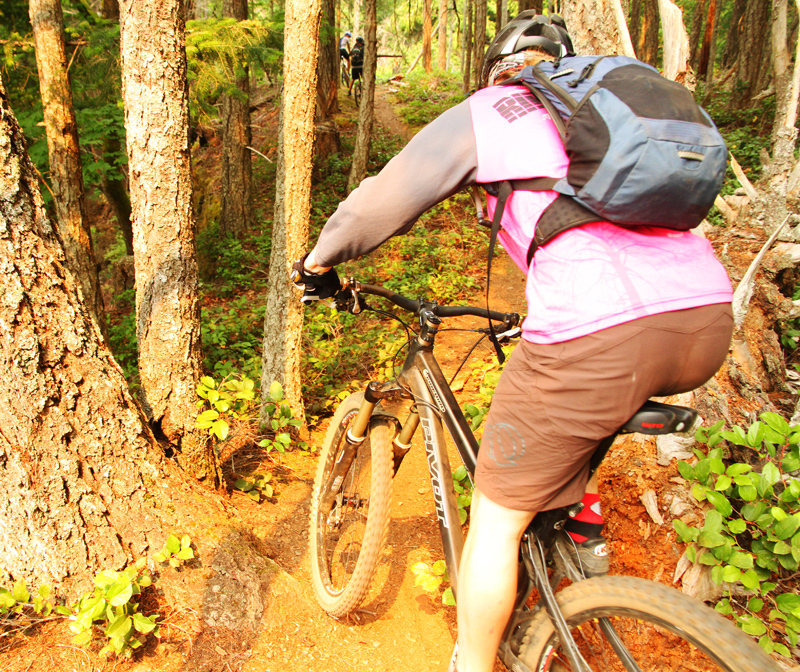 Add in the ocean views, the Arbutus trees hanging from cliffs and snow capped mountains; the views can easily distract from the seams of loam before you. 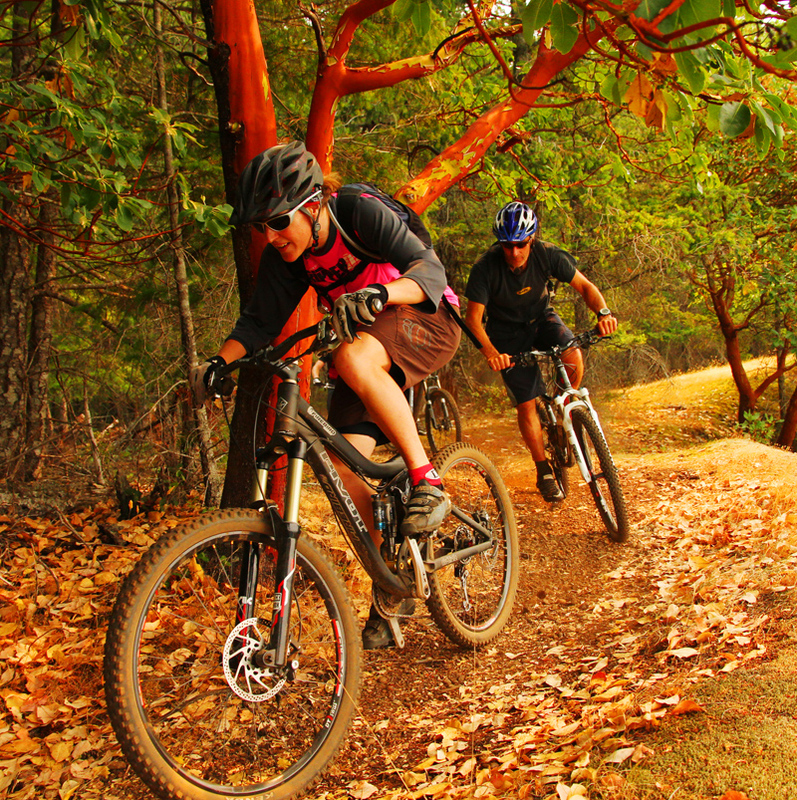 This area offers trails that can be ridden by all skill levels of riders and best ridden on a cross country or all mountain bike. 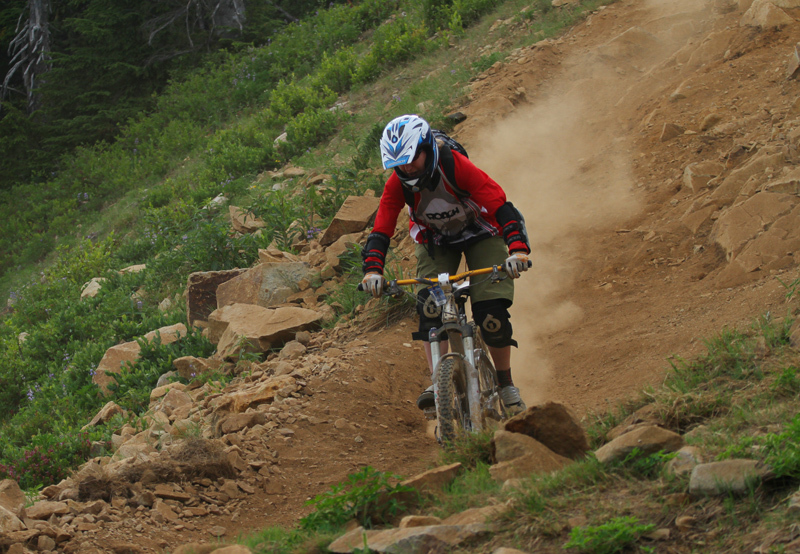 Downhill bikes are best utilized on Mount Washington. While you can shuttle Forbidden Plateau, the road up is an easy climb. 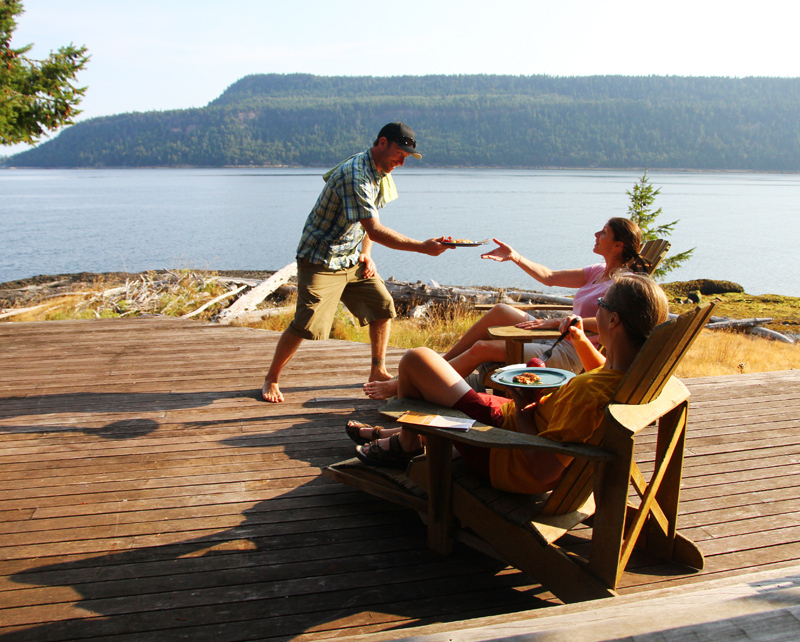 Hornby Island is accessed via Denman Island. 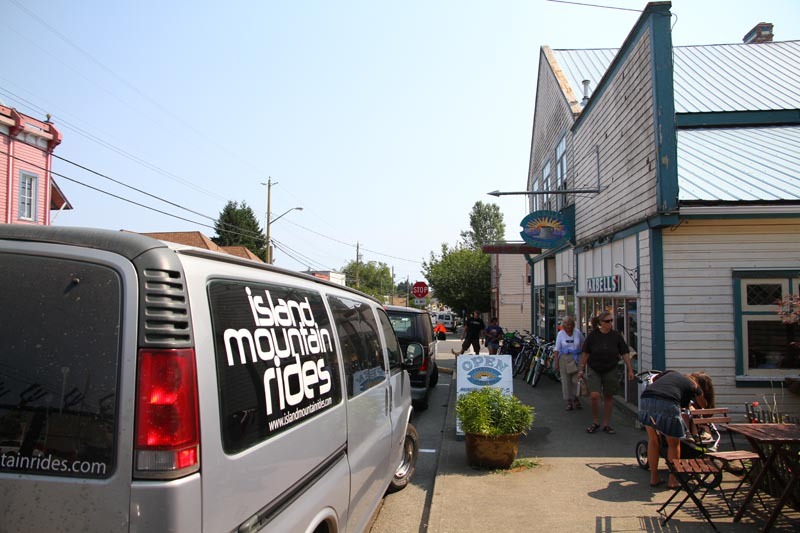 You can ride over Denman Island in an hour or take advantage of the Island Mountain Ride services and beach side accommodations on Denman Island. 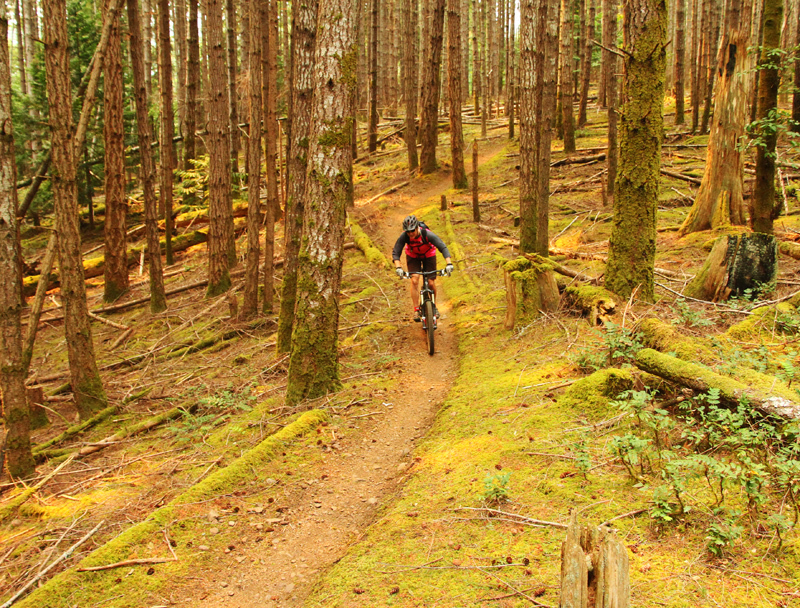 At first glance, one would think the trails of Central Vancouver Island was its most prized possession (from a mountain bikers point of view). After spending four days riding, eating, drinking and sharing experiences we found that its the people that are really its true treasure. 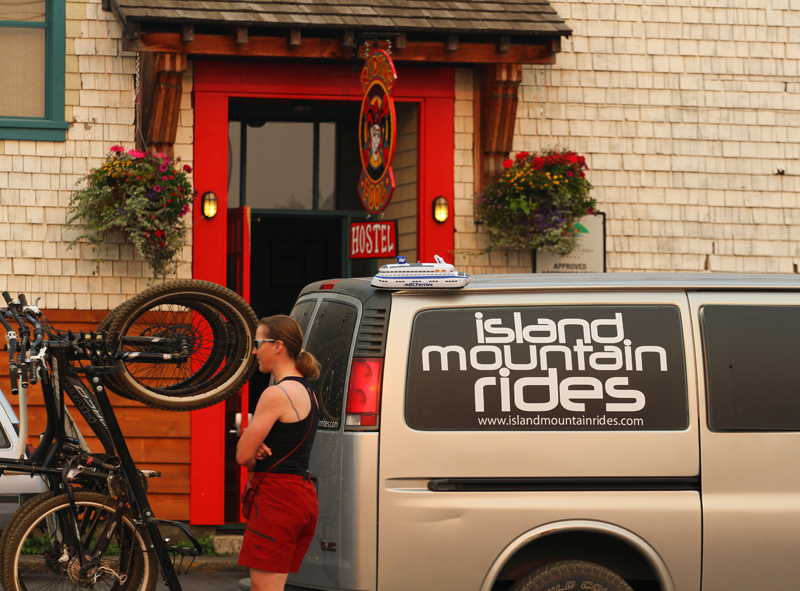 Thanks to our gracious hosts – Island Mountain Rides (Martin Ready) and Riding Fool Hostel (Jeremy Grasby) – for such a wonderful trip. Our base of operations was the Riding Fool Hostel. 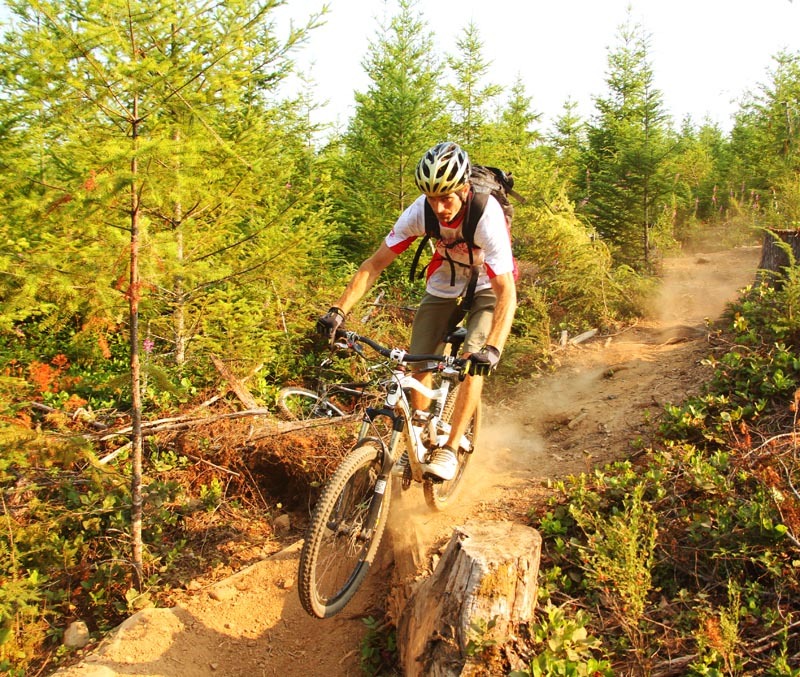 With all your living needs including Wireless Internet, Bike/Ski room, dining area, common area and minutes from the trails, this is Cumberland mountain biking base camp. We set off from the Hostel on our first ride into the Cumberland Trail system. Our first day took us 22km on the Cumberland network riding trails including – 2 and a Juice -> Buggered Pig -> Over Skyes Bridge ->42nd Street -> Steam Donkey -> Short Line -> up the Trent River Main to Blue Collar -> Back up TRM -> Thirsty Beaver -> Tea Pot -> Railroad -> Crafty Butcher -> Black Hole Space Nugget. Thank goodness we had Martin and Jeremy to guide us! Sykes bridge on the Cumberland trail system. Jeremy by the steam donkey on Steam Donkey. Thirsty Beaver – built by the River Rats – T&A. 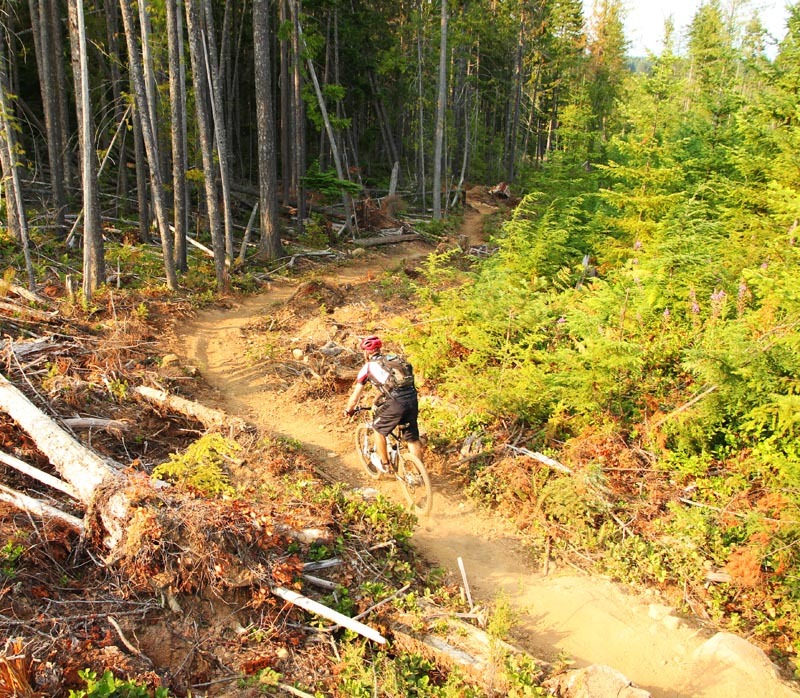 Crafty Butcher escaped the logging and skirts the clearcut. 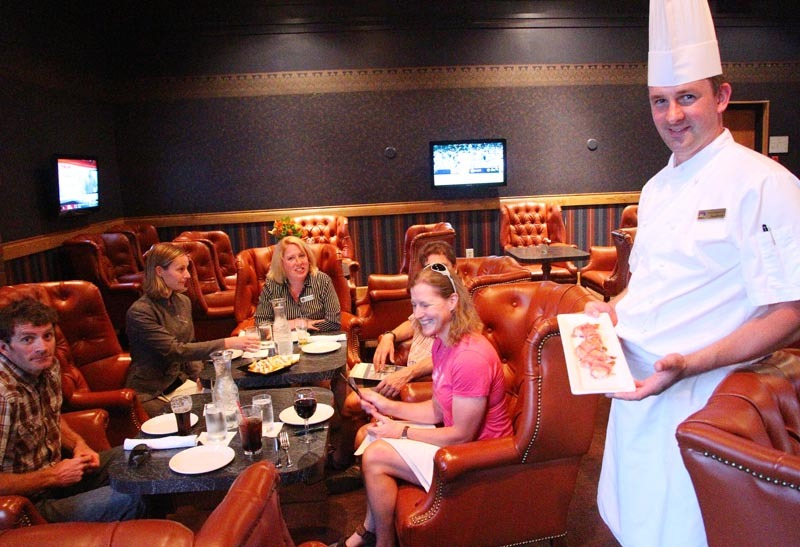 After our hard day of riding we were treated with Tapas and wine at the Best Western Westerly Snookers Lounge. When burgers and beer just won’t impress. 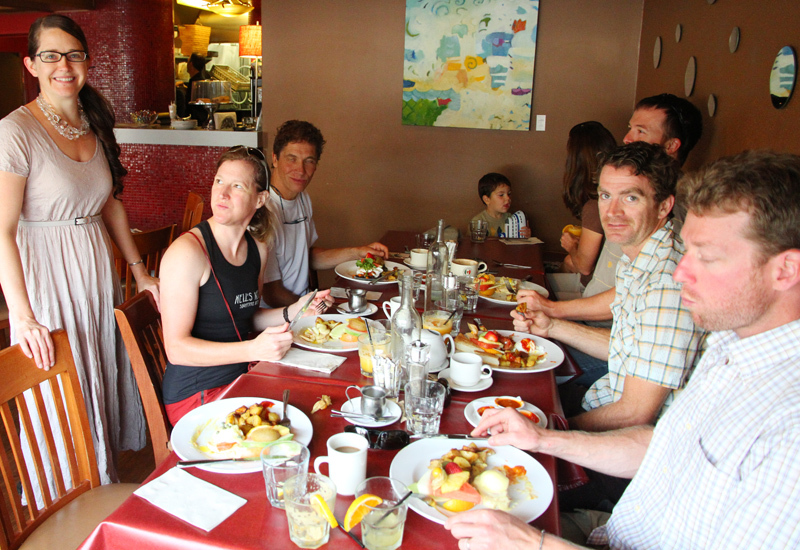 Day two had us up for breakfast at the Atlas Cafe, a very nice restaurant in Courtenay that had some great Eggs Bennies! This provided ample fuel for Forbidden Plateau. 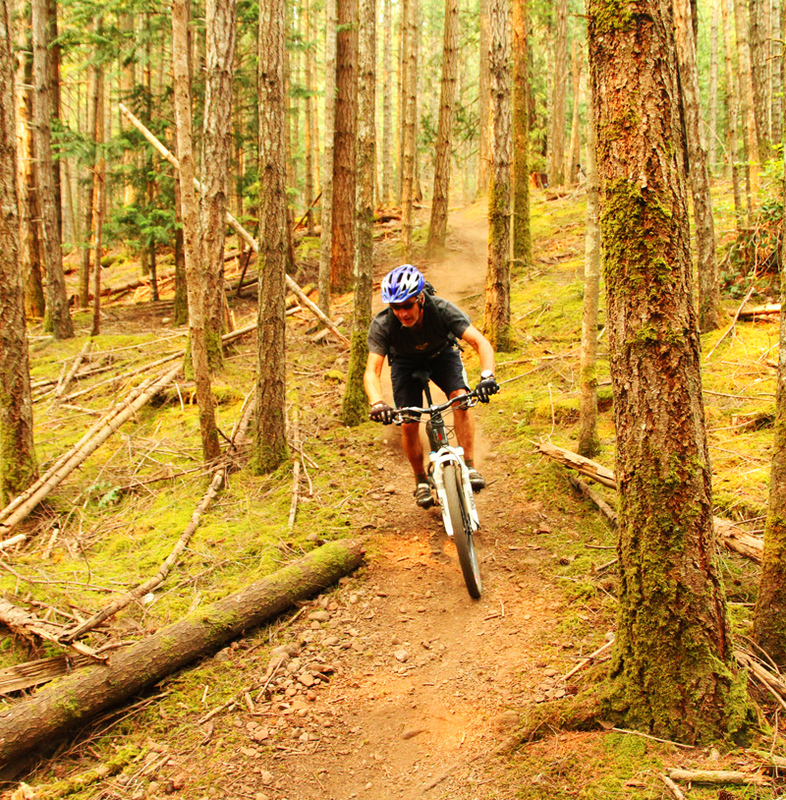 The ride to Forbidden Plateau had us start with a warm up on the BC Hydro trails along the Puntledge River. 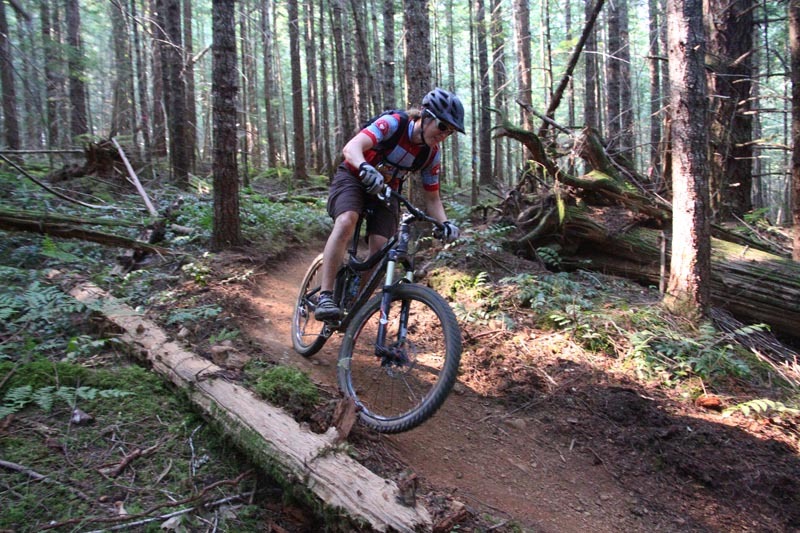 Great trails for beginners and for those XC minded riders to RIP. The route today was ~32km and included the trails -> Bevan -> Bear Bait -> Forbidden Plateau road -> Two Sheiks and a Dog -> Cabin Fever -> Slither -> Transmission -> Cat Nip -> back along the Bevan trail -> dip in the river -> back to the van! 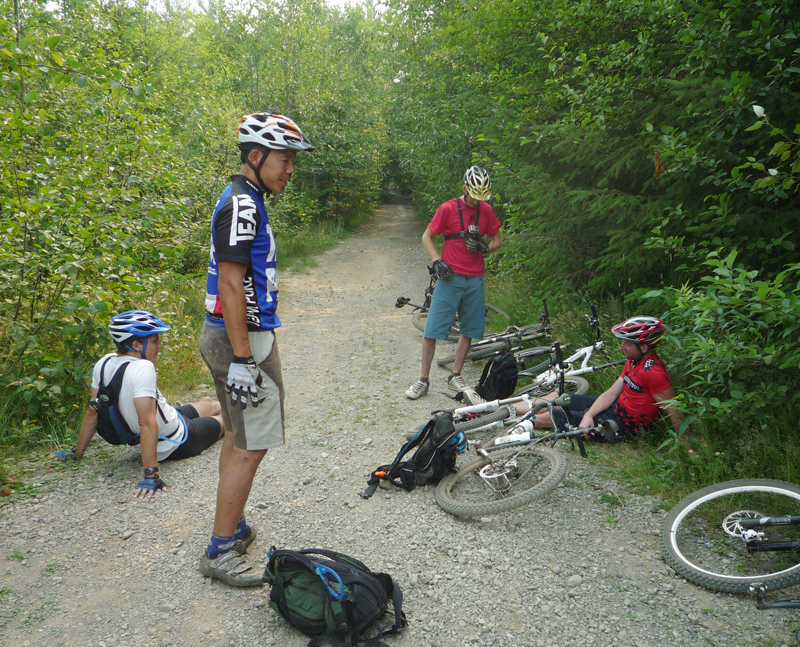 Sometime after the river ride we climbed 400m above the river at the top of the Forbidden Plateau road climb. Not bad at all! Really! This is the access road to most of the trails on Forbidden Plateau. Two Sheiks and a Dog. Grasby being chased down by Ready. View point on Two Sheiks and a Dog. Unfortunately the views were obscured by the BC Interior fires. Sharon railing not quite so fast. 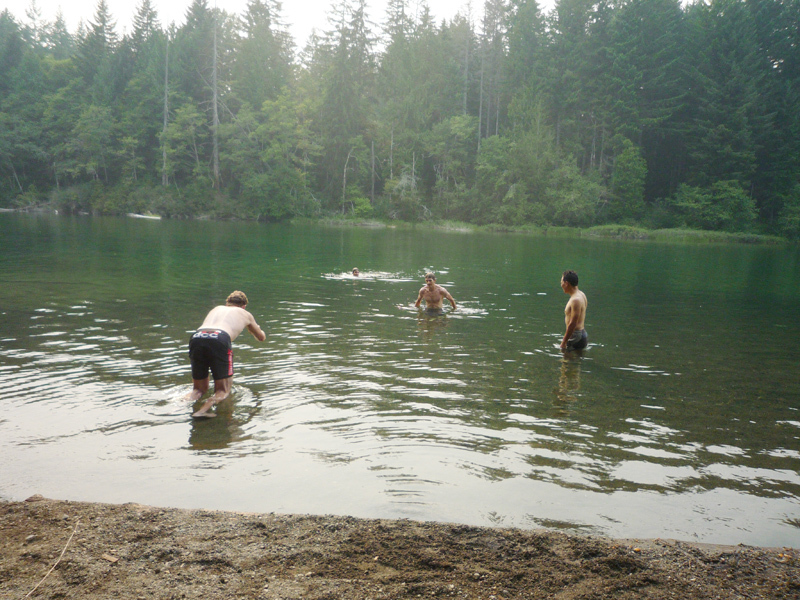 The ride ended with a much appreciated dip in the Puntledge River as temps this day were in the high 20’s and humid! As it was Wednesday we were treated to the Burger Special at the Waverley Hotel who was also hosting the apres for the UROC Women’s Only Ride. 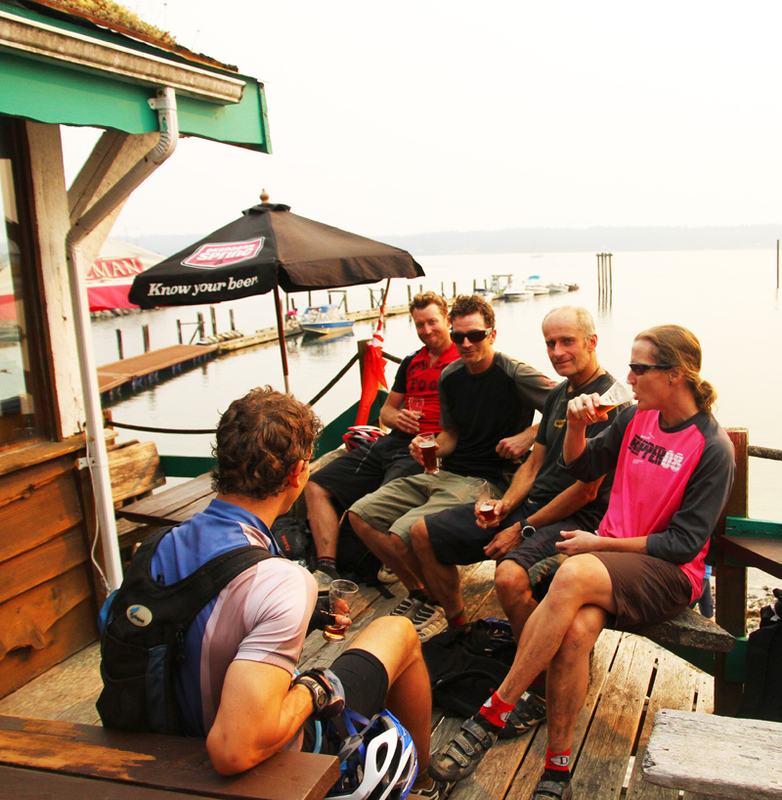 Day three had us up at the crack of 7:00 to head to Hornby Island. We had to make sure we caught the Denman Ferry to get over to Hornby with enough time to take advantage of the goods. 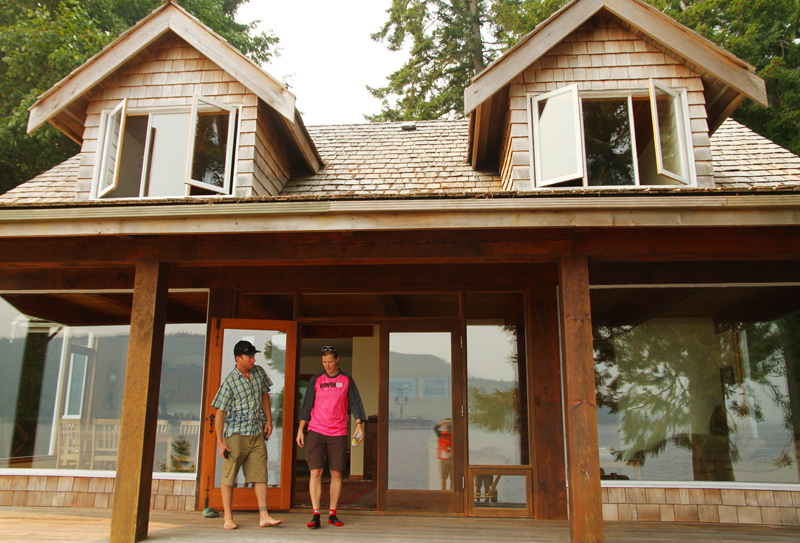 First stop was at the beach front Cabin offered through Island Mountain Rides where we could time leaving for the ferry to Hornby. Onto Hornby we rode! After climbing Mount Road – seriously that’s the name of the road – we gain half our elevation. 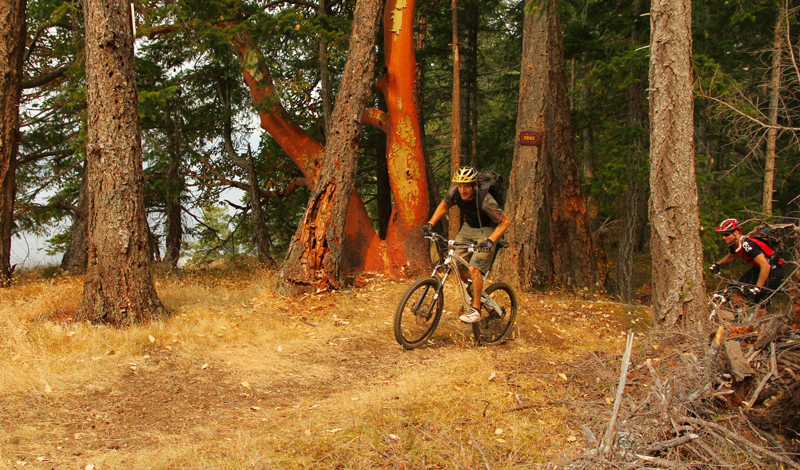 The remaining climb is on a trail lined with Arbutus trees following the cliffs. A trip to Hornby can’t be complete without summitting Mt. Geoffrey at a whopping 320m. Then we go down on Test Tube and continue the loop including Chris and Brad -> No Horses -> up Colts Foot, North Wind and Cold Deck -> down Hot Rims -> back up North Wind and Cold Deck to Toads -> C&B -> No Horses -> back up Colts Foot to Jessies Trail -> Sawyer. Then to the bike shop and beach! 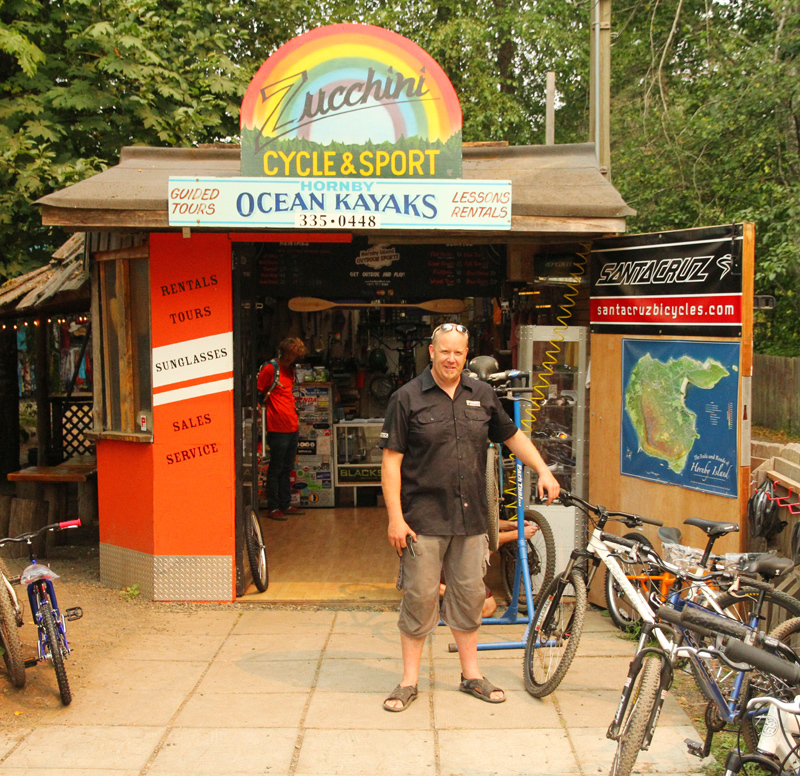 BC’s smallest bike shop run by Jeremy of Zucchini Cycle and Sport. The white sands beaches of Hornby Island. Popular place judging from the many ships anchored just off shore and many people lying in the sun. After debating on the fastest way back to the Thatch pub for a beer before getting back on the ferry we opted to climb back up towards looming Mt. Geoffrey and back down to the Ferry terminal. 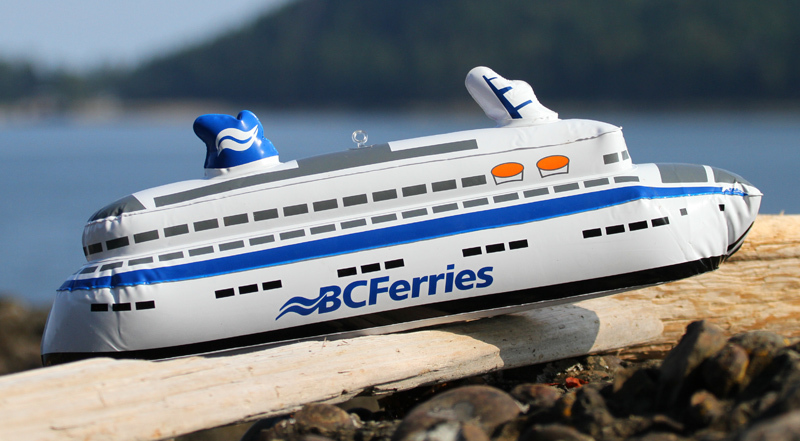 This experience wouldn’t exist without BC Ferries who have been great supporters of the local island communities by supporting such events as the BC Bike Race and other tourism initiatives. After our 38km ride we were back at the Cabin for some much appreciated tapas served by our guide Martin of Island Mountain Rides. 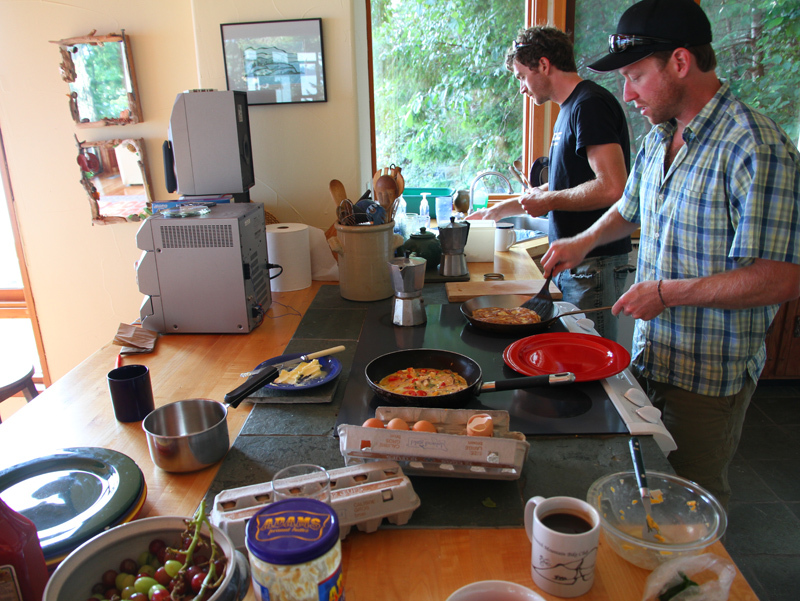 Day four had us up for breakfast served by Martin and Jeremy to fuel us up for some gravity assisted riding on Mt. Washington. Mt Washington hosted a very successful BC Cup race on the Monster Mile course the past weekend. Doesn’t get much better then this! Breakfast by the beach! The sky was much clearer today as the smoke from the interior wildfires were abating. Even the bikes were enjoying the beach. Then it was off to Mt. 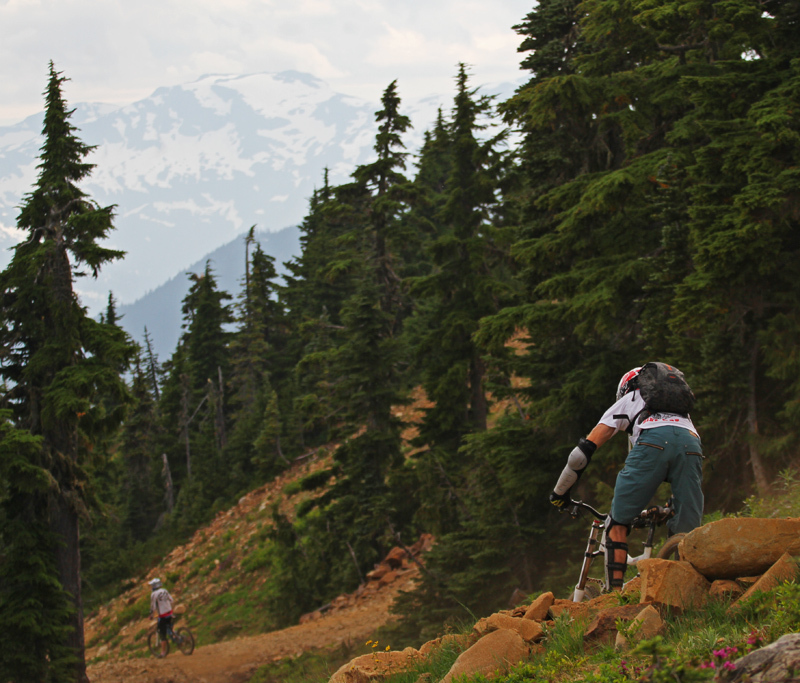 Washington for some lift assisted riding. With 16runs and ~500m vertical you will find something to challenge you. The mountains of Strathcona park loom in the back as Martin rips the Monster Mile. Sharon sending up some dust on the Monster Mile. After a fine dinner at Fat Teddy’s in the Lodge of Mt Washington we headed back on the Ferry for the coast cruise home. More Information of the area can be found below. A historic coal mining town Cumberland is surrounded by private land owned by two logging companies – Hancock Timber Resource Group and Timberland West. There are two local organizations that are working together to ensure the trails are protected in this area. One is the Cumberland Community Forest Society – a charity set up to buy private land from the logging companies in the area to preserve the forest for the benefit of the community of Cumberland. 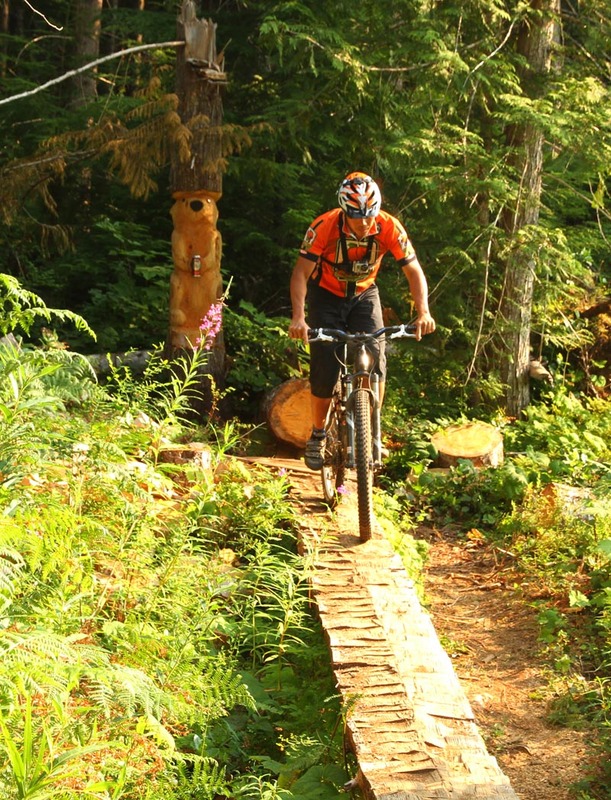 Another organization – United Riders of Cumberland or UROC works with Cumberland Community Forest Society by being a voice specifically for mountain bikers, to put on events for mountain bikers, to help maintain the trails and foster a positive relationship with the private land owners. 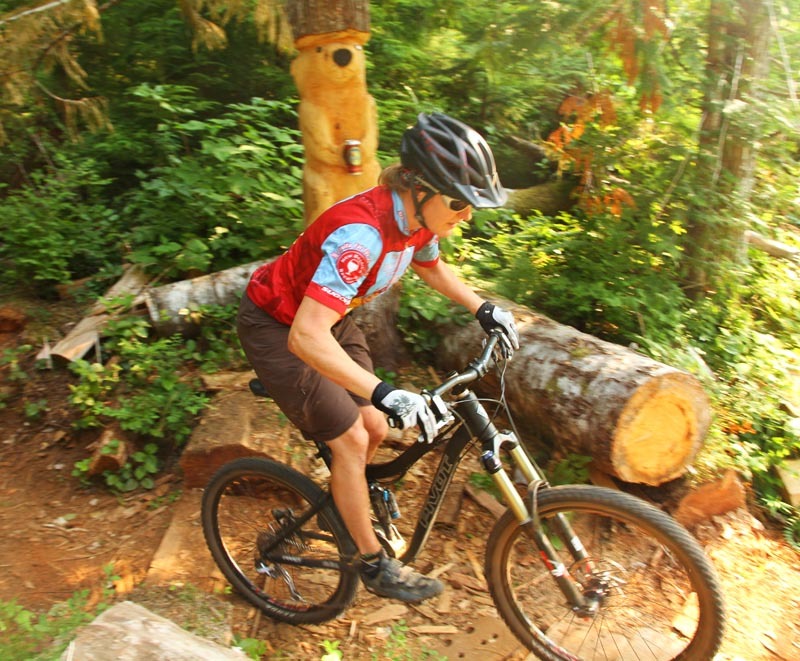 If you enjoy riding in this area and agree with the intent and philosophy of these organizations you can become a MEMBER or DONATE to the Cumberland Community Forest or become a MEMBER of UROC. 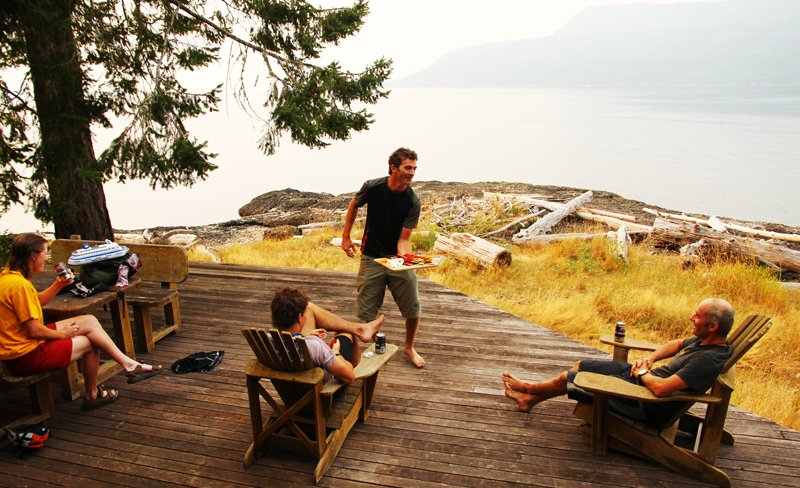 Many people, including ourselves, are reluctant to hire a guide for a weekend vacation. 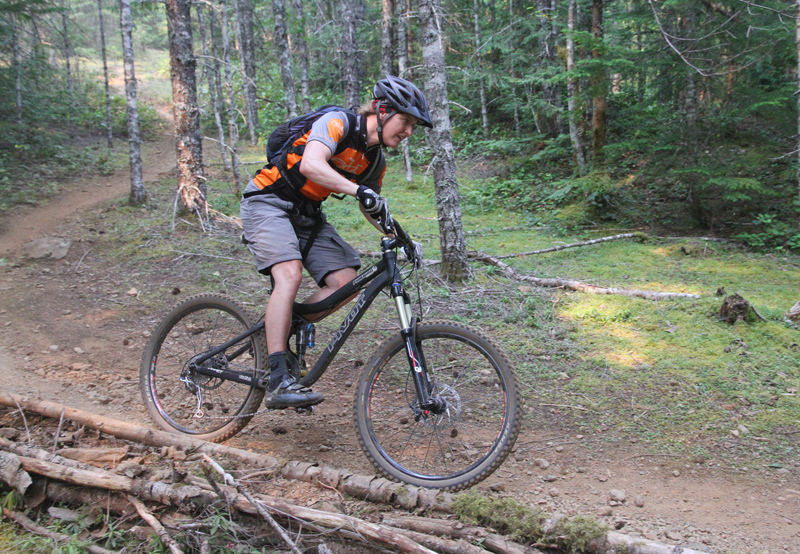 While the allure of bumbling through the forests, riding up rippin’ descents or riding through trails decimated by clear cuts has its allure in creating memories, perhaps there are better ways. One is offered by Martin Ready, a Comox Valley native who has traveled the world and returned to the area he feels is the best. He would like the opportunity to share his love of this area with you and give you the best rides of your life in the Comox Valley. 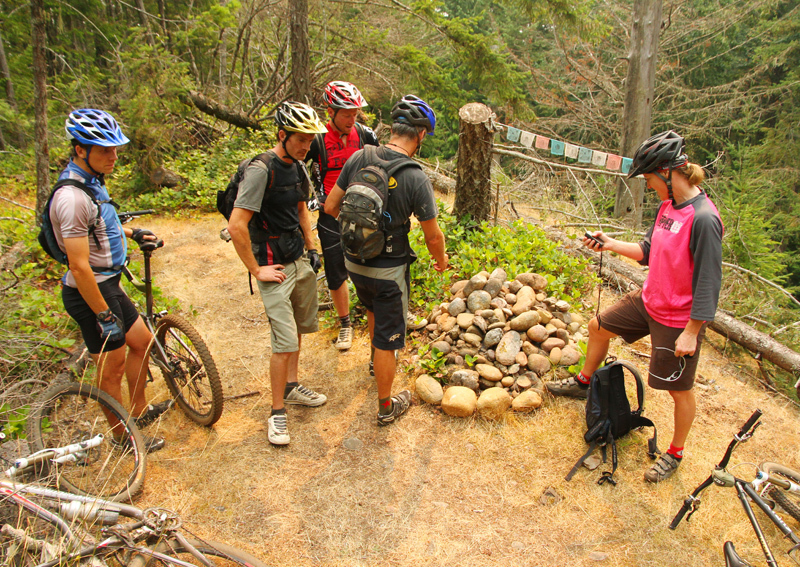 While maps are available, this area is diverse and wide & certain trails are better ridden and linked in certain ways. Local knowledge will go a long way to ensure you spend most of you day riding and your evenings over a beer, good meal and even a massage or other local offerings Martin can provide. Martin is the only guide with legal tenure to guide in this area. He is also a member of UROC and the Cumberland Community Forest Society. 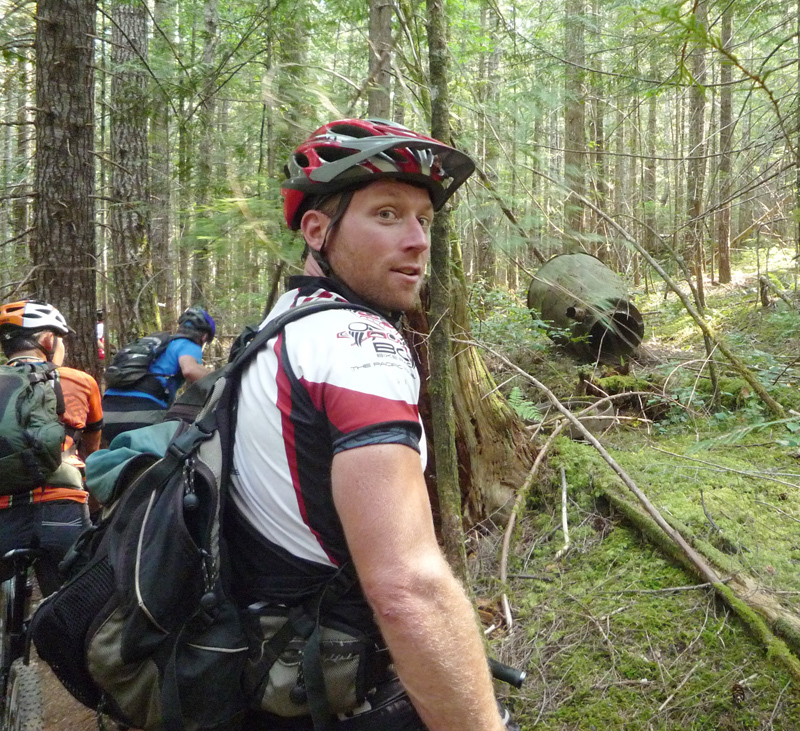 He has also helped out with the BC Bike race and other events and trail maintenance in the area. BC Ferries Vacation Center – Opened in May 2010 located At the Fairmont Pacific Rim (1010 Canada Place) will help you plan this and any other trip involving BC Ferries. 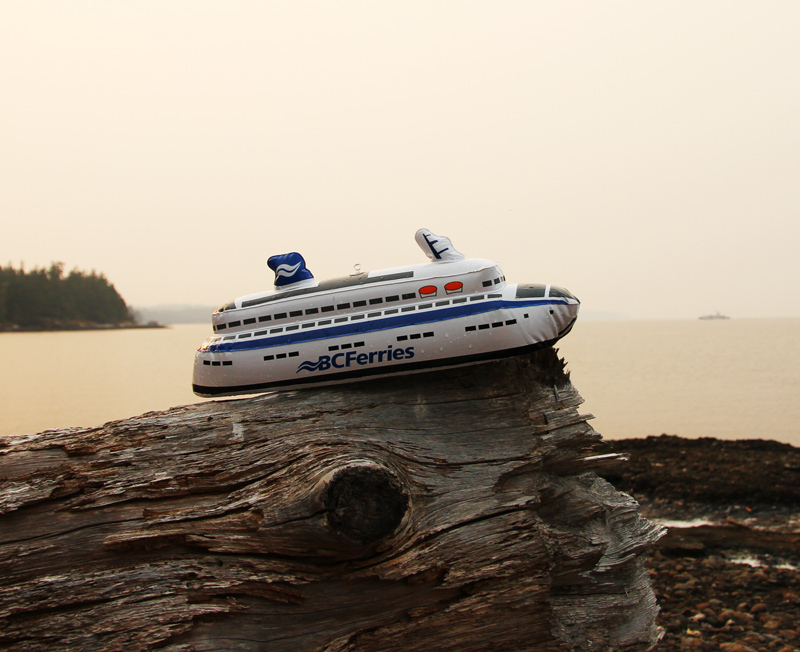 They will also help you set up your reservation which is highly recommended to minimize frustrating ferry line ups. 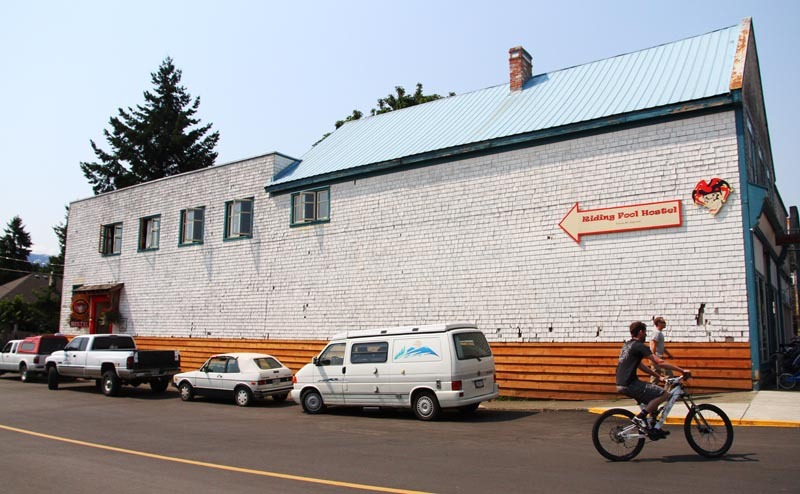 Riding Fool Hostel – is a quaint hostel in downtown Cumberland that caters to recreationalists and mountain bikers in particular. They have a room for bike and ski storage as well as a large kitchen, private rooms and a games room for socializing after your ride. Ennis is there most of the day to graciously take care of your needs. 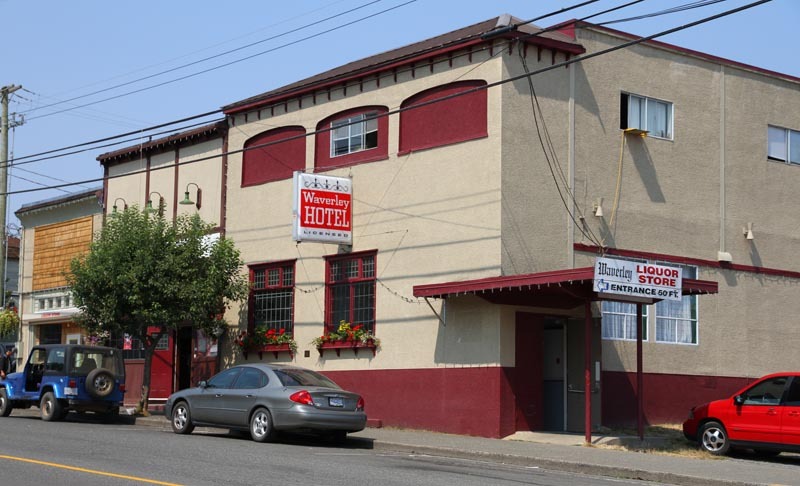 Westerly Hotel in Courtenay is a Best Western Hotel offering more refined accommodations. With three different restaurants – restaurant, lounge and pub, bike storage, games room, team locker room, pool, and more luxury this is a place you might want if you prefer more private time. Overnight Accommodation in one of the Premium Guest Rooms. 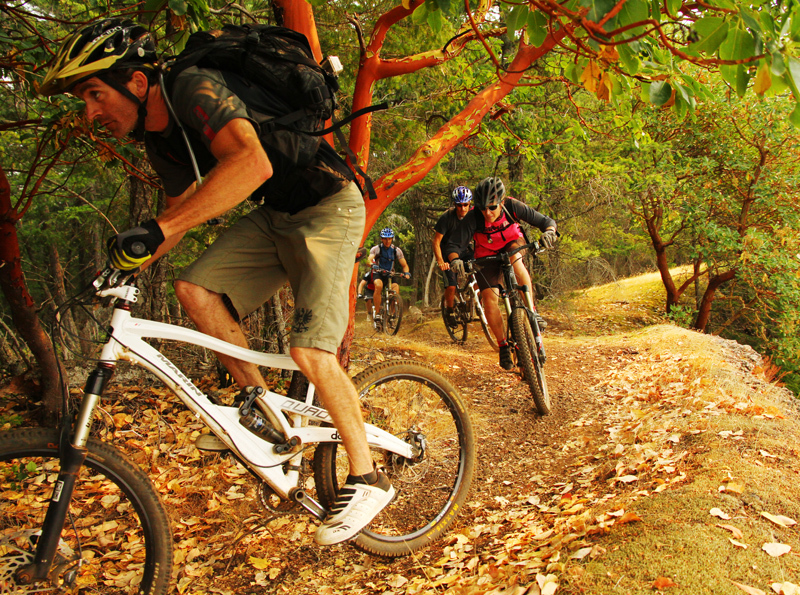 Dodge City Cycles – right below the Riding Fool – will take care of most of your cycling needs. Of note, the owner of Dodge City Cycles – Dan Espeseth – along with the owner of the Riding Fool – Jeremy Grasby – along with other active members of the community can be thanked for many of the trails in the area and events that highlight them. Waverley Hotel, which hosts women’s ride night on Wednesday with Burger and Beer specials. As well as live entertainment on Friday and Saturday nights. Tarbells serves great lunches, uses fresh herbs grown in their courtyard and will eventually serve you breakfast if you don’t get there RIGHT when it opens. Atlas Cafe in Courtenay has great Eggs Bennies and awesome service. Wandering Moose cafe serves coffee and quick easy sandwiches and breakfast wraps. 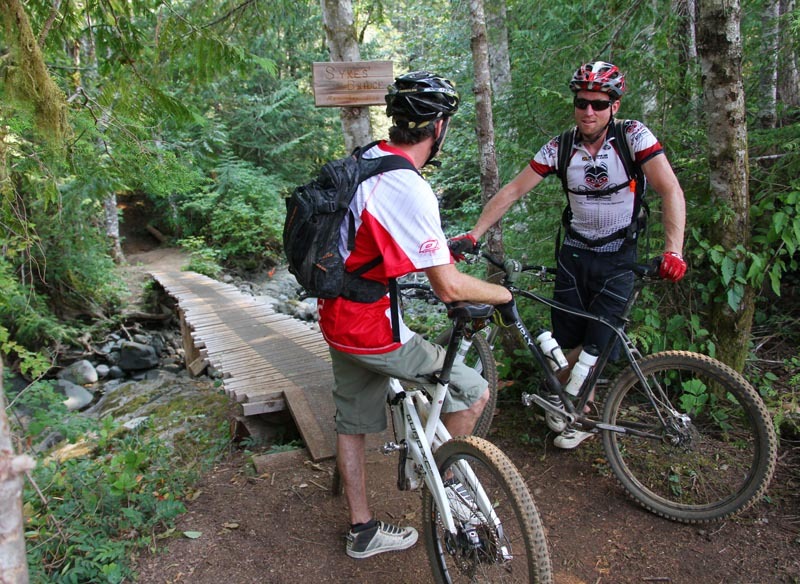 LOTS from music festivals, to art festivals, to sports tournaments, to diving, hiking, road riding, more mountain biking – Check out the links at the above businesses or at the Discover Comox Valley Website. Island – a four day trip from Lee Lau on Vimeo. Cumberland local trails – lap 1 – Aug 3, 2010 from Lee Lau on Vimeo. Cumberland local trails Lap Two – Aug 3, 2010 from Lee Lau on Vimeo. Puntledge Loop, Cumberland – Aug 5, 2010 from Lee Lau on Vimeo. Forbidden Plateau, Cumberland – Aug 4, 2010 from Lee Lau on Vimeo. Hornby Island – part one – Aug 5, 2010 from Lee Lau on Vimeo. Hornby Island – part two – Aug 5, 2010 from Lee Lau on Vimeo. Denman Island to Mt Washington from Lee Lau on Vimeo. 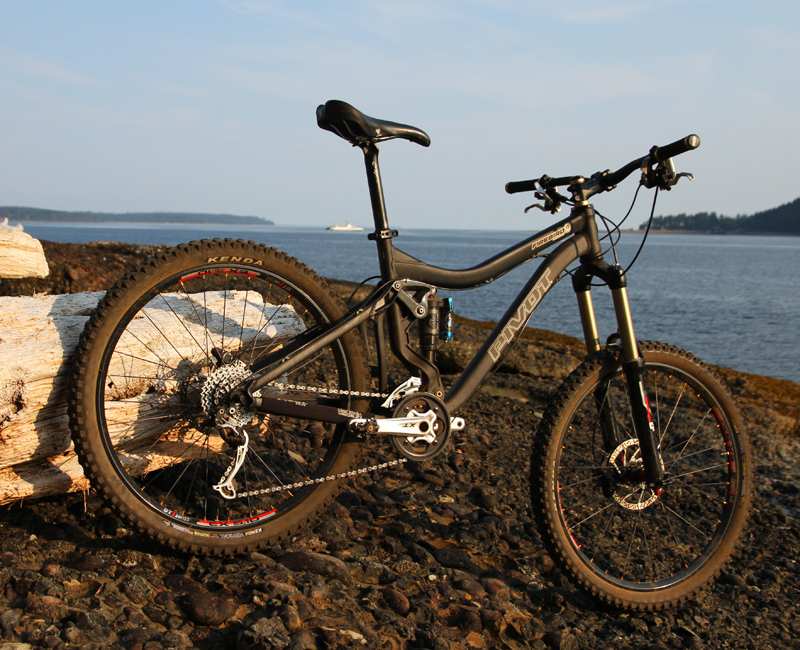 This entry was posted in 2010, bike and tagged BC Ferries, Comox Valley, Cumberland, Island Mountain Rides, Riding Fool Hostel. Bookmark the permalink.